Let’s go, launch straightaway your assignment in Gabon! Looking for a collaborator in the locality of Gabon for your forthcoming communication task? Do not misuse precious time and call us. Since advertising agencies will be an immense help for your billboard designing or your ad concept creation activities. Hundreds of various services are offered by companies expert in advertising. And it is regularly effortful to smoke out the most adapted bureau in Gabon. So do not make any missteps and send Sortlist an email, hereafter simply have faith in Sortlist and lie down, we will do the rest. Thus, if your firm would like to achieve an activity in billboard designing, ad concept creation or even in package designing, then your company doesn’t need to fritter away valuable minutes searching for a specialist in Gabon. Because at Sortlist we have the means to help your firm encounter the most adapted collaborator and you will definitely realise that a task in advertising will have a certain imprint on your profit. For Sortlist it’s a reality, working together an agency in Gabon is an advantage for your task in advertising. Thanks to the service that was mounted by Sortlist, your firm can not singularly spot what companies are connoisseurs in their expertise but you also will be able to designate with whom it wishes to continue. The advertising agency will directly identify your demands and furthermore they also will give your firm access to technology that your firm might not have had anteriorly. advertising, find quality associates in Gabon. The advertising agencies in Gabon are incredibly smart in ad concept creation or package designing, but how does your business choose the finest agency? Sortlist sets the most fitting advertising agencies for your firm in a inventory, and it's costless. So post your task now, for instance in billboard designing or package designing, with us. 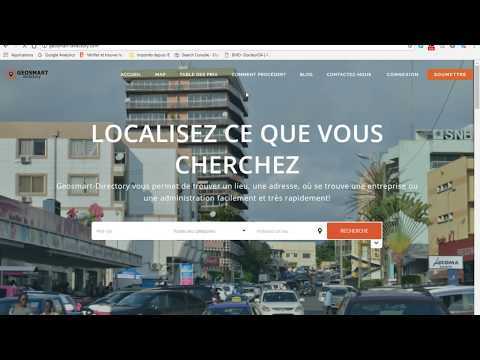 Our directory includes a lot of agencies globally, so if your company are seeking a collaborator in Gabon then we are sure he is in our inventory. You will, once your company has chosen its agency, build a complete game operation to manage the project of your business.